To make beef stew, I start by simmering a chopped onion, add cut up top round beef, add water, and bring to a boil. In about 15 minutes, millions of bits of horrible looking gunk appear in the water. Picture below. What am I doing wrong? This is protein that is coagulating in the water simmer environment. Most beef stew and braises in general start with a high heat sear of the meat, often dusted with flour or starch to begin a thickener. Simmering any animal protein in water will produce this curd like gunk. 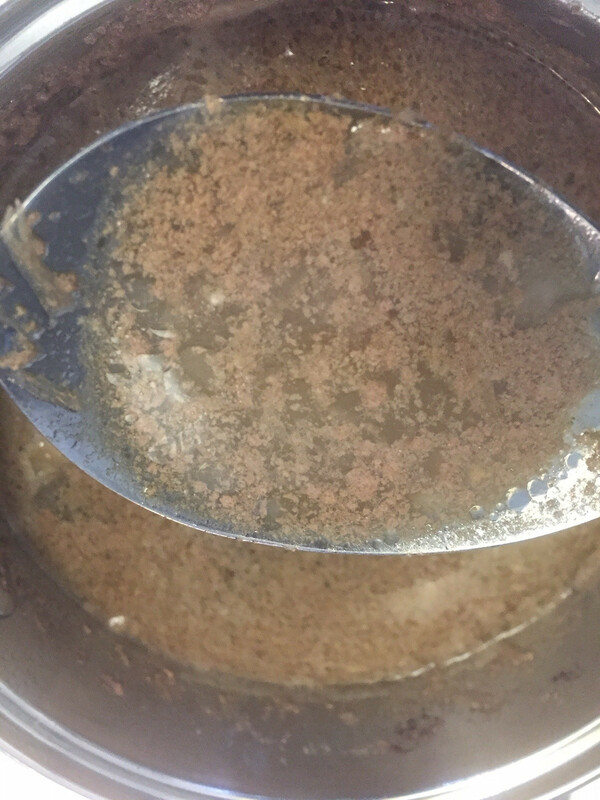 If you continue, and add other ingredients, and reduce the liquid, it will eventually incorporate,more or less, bt will look like that for a while. Wondering what recipe or, more importantly, technique you are trying to use. If you provide more details about timeline and technique, more can be said, but simmering meat in water makes this curdy mess. Not the answer you're looking for? Browse other questions tagged beef stews or ask your own question. Is there a name for the mushy sludge that forms around/beneath meat as it cooks?